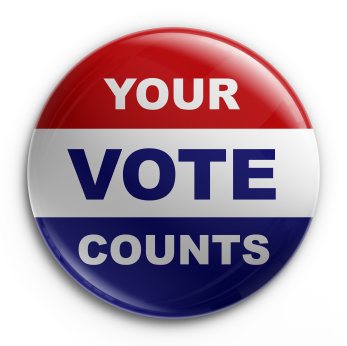 One of the greatest freedoms we enjoy as American citizens is our right to vote and have say in who will lead this great country. So on Tuesday, Nov. 6, I want to encourage everyone to get out and VOTE! After you do, there are several election night parties around town where you can go to watch the results trickle in and root for your candidate. Head to the Granada Theater for D Magazine's Election Night Live presented by Chevrolet with live music from Ft. Worth indie band - Burning Hotels. Tickets are only $5 and can be purchased on the website for the Granada Theater. Another option is to join fellow voters at the Red & Blue Election Night Watch Party at Central 214’s bar and courtyard patio. You will enjoy “ballot menu” tasting specials from Chef Graham Dodds and no-term-limit happy hour prices for beer and wine. Help predict the election winner with Mixologist Amber West’s tasty “Red Rom” and “BluBama” craft cocktails. Central 214 is adjacent to the Hotel Palomar Dallas at N. Central Expwy. and Mockingbird in Dallas and there will be complimentary valet parking. THE FASHIONISTAS will host their Fall Runway Series featuring designer, Geoffrey Henning on Thursday, November 8 at 7PM. The press release I got describes the show by saying, “the runway will be filled with duchess satin, organza and crepe silk in soft pastels that channel the style and femininity of the 1950s French couture houses.” Doesn’t that sound divine? It goes on to say, “In contrast, Henning’s Resort Collection will move into the freedom from constriction and evoke the soft femininity of the seventies, where color and soft draping defined the era.” It all sounds heavenly to me and I can’t wait to watch every delicious garment float down the runway. Tickets start at just $35 and can be purchased by visiting TheFashionistas.org. Since Hope’s Door first opened to families in 1986, they have served thousands of North Texans impacted by domestic violence by providing shelter, transitional housing and counseling. Trained staff and volunteers have answered more than 25,000 crisis calls and provided education and vital outreach services to families throughout the Metroplex. Hope’s Door is marking its 25th Anniversary with a special event themed “An Evening of Hope.” The party is presented by Rent-A-Center and will take place on Saturday, November 10th at the famous Frontiers of Flight Museum at Dallas’ Love Field. I hope you will join me there and while we enjoy cocktails and a wonderful silent auction, we can also raise money for those I need in our community. 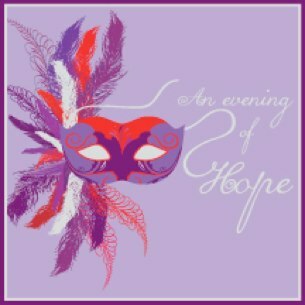 Tickets are $150 and you can purchase them or get more information on the event by visiting www.hopesdoorinc.org.